Costs – See our statistics on average tree removal and tree maintenance costs in the Fresno area before you call a local tree care expert to get a quote on your job. 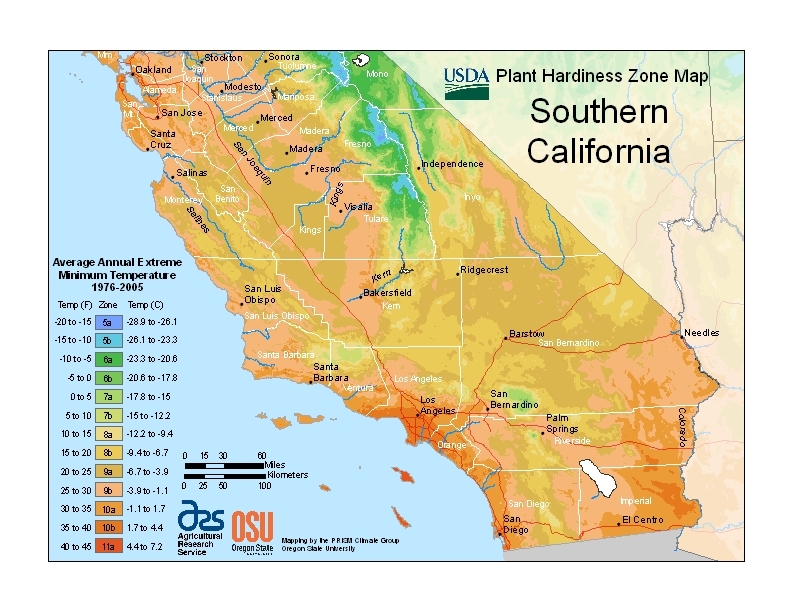 FAQs – We have information on the California state trees, plant hardiness zones for the southern part of the state, best trees to plant, regulations outlined by the city, healthy tree tips, and fruit trees to consider planting in the Fresno area–in case you were looking. Services – Who are you going to call for your next tree appointment? We have plenty for you to choose from, everyone who works in the city limits of Fresno actually. How Much Do Tree Services Cost in Fresno? One of the easiest ways to save money on expensive tree removal services is to spend a small amount on preventative tree care from time to time. As trees and shrubs grow, they follow their natural genetic programming and spread as much as possible. Any human-made obstacles in their way, including power lines, homes and offices, may end up being damaged in the process. This can lead to high repair expenses. We have listed the statistics for tree maintenance and removal costs in Fresno, California below. The majority of Fresno homeowners who have trees removed pay around $770 for the service. This cost is determined by the height, type, hours and complexity that goes into the removal. Other factors that might vary the price lower or higher include the proximity of the tree to the home or power lines, which could mean special equipment to get the tree lower safely or extra pruning before even bringing the tree down. Factors like these vary the price between $641 and $901. Many homeowners only pay around $200 for minor services like stump grinding. Stump removal, on the other hand, will cost a bit more because it involves the complete removal of the stump from the ground. Roots can be hard to get out of the ground if they’ve been there a long time, though. So expect to pay about $300 to $400 for the complete removal and discuss these two options with the arborist to see which works best for your budget and plans for the yard. Keeping trees trimmed, cut and pruned regularly in Fresno will cost homeowners between $526 and $748 the first time around, depending on the state of the trees and the number that need to be cut when the tree service professional arrives to quote a price. If the trees have a lot of branches or are very tall and need special equipment to reach, it will cost more. On the other hand, if they’re short palm trees, it will cost less. On average, the tree service specialist will quote a price of $637. The key is to do maintenance regularly to avoid exceedingly high costs that come from irregular maintenance, diseased trees or removal due to death. Tree care encompasses a number of jobs that help maintain your property’s appearance and help improve the health of the plants that grow there. Property owners in Fresno consider the following factors when they’re going to have a tree cut or trimmed. According to City of Fresno regulations, the majority of tree work requires a permit. This includes everything from small trimming jobs to huge removals. All tree service firms must have contractor’s licenses and City of Fresno business licenses before starting work. The only thing homeowners can legally do by themselves is trim limbs that they can reach from the ground without using a ladder or chainsaw. The area’s semi-arid climate helps many species thrive, and the name Fresno actually comes from the Spanish word for the ash tree, whose leaves feature prominently on the city flag. 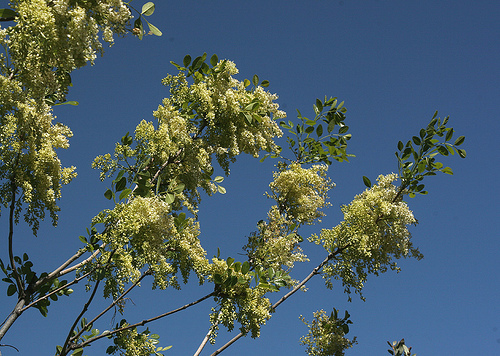 Trees like the California ash (Fraxinus dipetala) are popular because they grow easily even in the shade of other trees. Their drought tolerance and fragrant white flowers make them nice for beautifying properties without requiring as much maintenance. Other small trees, like the magnolia dianica (Michelia yunnanensis), bloom on a regular basis and only grow about 12 feet tall. Some larger trees, like the coast live oak (Quercus agrifolia) are protected by conservation laws. Many of Fresno’s residents take advantage of the great local climate to grow fruiting trees. 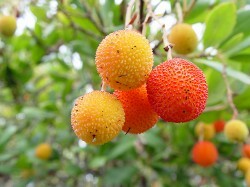 Exotics like the strawberry tree (Arbutus unedo), the American persimmon tree (Diospyros virginiana) and the holly-leafed cherry (Prunus ilicifolia) are all popular. Citrus trees and numerous pear species can also be grown, but they often require more moisture. In general, the hardier species thrive best here. Live oaks don’t get along well with new lawns, and they may die from excessive watering. Popular garden trees like the red ironbark or mugga (Eucalyptus sideroxylon) stand out because they make amazing visual impressions and are extremely hardy, but they also attract tons of hummingbirds. Also remember that tree diseases are a regular problem in the Fresno area. Many blights target specific varieties, and a number of fungal infections can be transmitted from one tree to another via dead branches and other forms of contact. Service Areas: Servicing City of Fresno, CA, Clovis, CA, Fresno County, and Surrounding Central Valley California Counties including Madera, Kingsburg, Sanger & Fowler County.